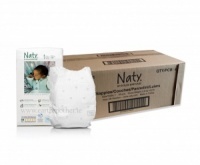 Please note that the maximum weight we can ship in one order is 20kgs - as Waterwipes contain mostly water, they are quite heavy - each box of 9 is 4.9kgs - so a maximum of 4 boxes of 9 / 2 of 18 is just under 20kgs. If you want to order more at the same time, you will have to place another order and pay another delivery charge. Apologies for any inconvenience caused. Must say excellent overall. Purchased 5 packs which were great value and received an additional few packs which made the value provided even better. Service was excellent and quick and I was kept informed on the delivery status. Nothing worse than running out of wipes. Ordered these and they were delivered 2days later. Stocked up for another while now!!! 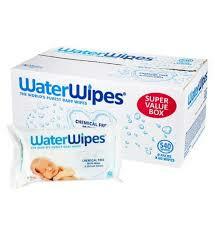 Love water wipes as they have no chemicals in them. Great to buy in bulk as I don't have to go to shops the whole time, Great, quick delivery!! Great value for this product. The service was excellent also,with products arriving the day after they were ordered, as promised. 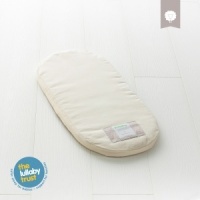 Handy to have such bulky items delivered to your door, especially when you have a little baby to keep you busy! This is the 6th delivery I have received from Earthmother and as usual it was a fast, simple transaction. I recently purchased the bulk pack of water wipes from Earthmother. I found the service great and excellent value for money. .it was over the Christmas period and the team emailed me to let me know the delay over the holiday time. This wasn't a problem but I appreciated being contacted with the update. I will be returning again!